While living in Europe, Tesla came up with the design of his AC induction motor, built a prototype and it worked. Tesla built the AC induction motor, not Westinghouse. 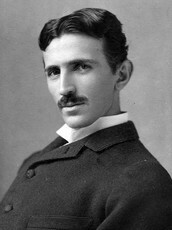 Tesla believed that Alternating Current was efficient because it would distribute power over a distance to homes and businesses. This is due to the ease of changing voltages with a transformer. After leaving Thomas Edison, Tesla began working with Westinghouse to bring his polyphase system to the world. In 1888, Nikola Tesla had patented an idea for an AC motor, and Westinghouse quickly bought the patents and began working on developing the motor. 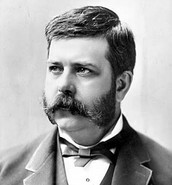 He obtained exclusive rights to Tesla's patents for a polyphase system of alternating current in 1888, persuading the inventor to join the Westinghouse Electric Company. In 1895, the Westinghouse Company was granted a contract to build three hydroelectric power plants at Niagara Falls, New York. With that achievement, AC became America's main power source. Westinghouse invented the transformer. It allowed electricity to be efficiently transmitted over long distances, making it possible to supply electricity to homes and businesses located far from the electric generating plant. AND THE CREDIT To ALTERNATING CURRENT GOES TO ... nikola tesla!!! Tesla deserves the credit to AC. In fact, Westinghouse was more of an economic participant in the War of Currents than was Tesla. George Westinghouse only financially supported Nikola Tesla. 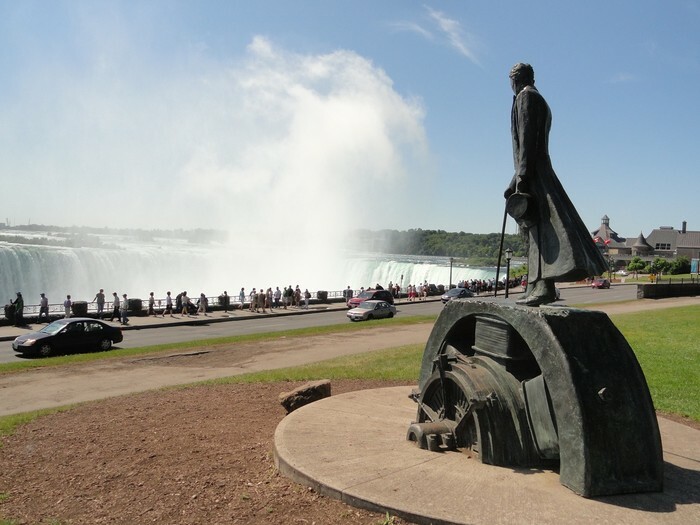 The Tesla Monument at Niagara Falls even proves that Tesla is the father of AC. By looking at the picture to the right, you can see that Tesla is standing on top of an AC motor, overlooking the Niagara Falls. Even though Westinghouse worked alongside with Tesla, Tesla was still the mastermind behind AC technology.